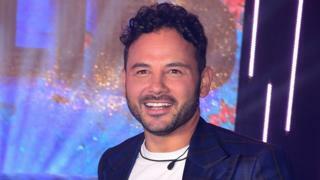 Ryan Thomas has been named winner of Celebrity Big Brother after a controversial series that has seen walk-outs and thousands of complaints.They were sparked by an incident between Thomas and Roxanne Pallett, in which the former Emmerdale star claimed to have been repeatedly punched.She accused ex-Coronation Street actor Thomas of deliberately hurting her, but later admitted she got it wrong.US star Kirstie Alley was the runner-up of the Channel 5 reality series.She and Thomas shared a kiss on a sofa after it was announced that viewers had voted him as the winner. Third place went to TV personality Dan Osborne, with the other finalists - TV's Sally Morgan (known as Psychic Sally), Love Islander Gabby Allen and former trader Nick Leeson - earlier leaving the Big Brother house. Thomas, who starred as Jason Grimshaw in Coronation Street, had been the bookies' favourite to win the show, followed by Alley. Pallett apologised to Thomas after quitting the show following the incident between the pair. In a TV interview on the Jeremy Vine show, she said: "I massively apologise to Ryan, his friends and fans and every single person who watched that. "[It was] an overreaction to what wasn't a malicious act. "I was sensitive and emotional and mistook what was playful - I apologise for it, I shouldn't have questioned his motivation. "More than 11,000 complaints have been made to Ofcom. Big Brother bosses pointed out that while "almost play fighting" he "punched Roxanne in the ribs". Thomas, who was in Coronation Street from 2000 to 2016, had said there was "no malice, hurt or anger" in anything he did.His daughter and her younger cousins were pictured in #TeamThomas T-shirts ahead of the final. In a message on his Instagram, his family said they were all behind him, telling fans: "Your support has been amazing throughout." Of the other finalists, Allen was voted out first, followed by Morgan and then Leeson.Leeson told host Emma Willis the experience had been tougher than his time in prison, after bringing down Barings Bank, and that he was shocked to have come fourth. "I did something really bad," he said. "I've been trying to rebuild my reputation since." Osborne was shocked to learn none of the other contestants had nominated him during the series. He told Willis he had found it difficult not being able to speak to his children, saying he had just wanted to make his family proud. He said he had wanted to show who he really was, after a scandal in 2015 when he was heard making threats to a former girlfriend in leaked recordings. "It gave me a lot of time to think about how I can better everything in my life," he added. Thirteen people had entered the Big Brother house on 16 August for the latest instalment of the reality TV show. While most of the former contestants attended the final, Pallett was not present. Rodrigo Alves, who was removed from the house during the series, was not there either.